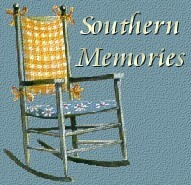 "Southern by the Grace of God." 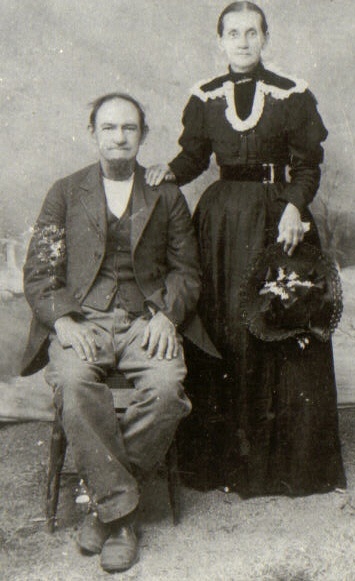 This is a picture of my Great-Great-Grandfather John Fletcher Cole and my Great-Great-Grandmother Matilda Ann (Shackleton) Cole in the late 1860's, early 1870's. (Paternal family). John Fletcher Cole was born in Gibson County, Tennessee on a small farm to a farmer and well digger in the early 1830's. He enlisted asa Private in the Confederate States Army on December 3rd, 1861 at Camp Trenton, Dyersburg, Tennesee. He was assigned to the to the 47th Tennessee Infantry Company C, a division later assigned under General Nathan Bedford Forrest. The company Captains were: Vincent G. Wynne (made it to lieutenant colonel) and Peter Marchant. The regiment remained at Camp Trenton, unattached to any brigade, until just before the Battle of Shiloh, April 6-7, 1862. The action report for that engagement stated that the 47th, unattached, arrived on the field April 7. No reports of its activity were found, but the West Tennessee Whig, of Jackson, Tennessee, dated April 25, 1862, published a list of casualties from the 47th Regiment in the Battle of Shiloh totaling five killed, sixty-one wounded, and one missing, so the regiment must have done some fighting after its arrival. On May 26th, at Corinth Mississippi, it was reported in Lieutenant General Leonidas Polk's Corps, Brigadier General Charles Clark's Division, Brigadier General Bushrod R. Johnson's Brigade, composed of the 12th, 13th, 22nd, and 47th Tennessee Infantry Regiments, and Bankhead's Battery. On June 15th Brigadier General Preston Smith was reported in command of the brigade; June 30, Colonel R. M. Russell, with the 22nd Regiment merged into the 12th, and the 154th Senior Regiment added; but on July 8th, General Preston Smith was again reported in command of the brigade, in Major General B. F. Cheatham's Division. These four regiments remained together for the rest of the war; first in Preston Smith’s Brigade; later with Brigadier General Alfred J. Vaughn in command. The regiment left Corinth, Mississippi May 29th for Tupelo, Mississippi, where it remained until July 25th. Company reports show much sickness in the regiment while at Tupelo. It left Tupelo via Mobile and Chattanooga, for Knoxville, to Join Major General E. Kirby Smith for his invasion of Kentucky. From Knoxville, it marched on foot, many of the men barefoot, over the Cumberland Mountains to Barbourville, to London, to Richmond, Kentucky, where it was engaged in the battle on August 30, 1862. Here the 47th reported eight killed and twenty-four wounded. From Richmond it marched to Lexington, Paris, Cynthiana, Frankfort, to Mays Pond, 30 miles from Cincinnati, Ohio; to Shelbyville, 28 miles from Louisville, Kentucky; to Perryville, where it was present at, but not engaged in, the battle fought at that place on October 8, 1862. From Perryville, it retreated through Harrodsburg, Kentucky, and Cumberland Gap, Tennessee, to Knoxville, where it took the railroad to Chattanooga. It left Chattanooga November 1, 1862, marching via Bridgeport, Alabama, to Manchester, to Tullahoma, to Murfreesboro, where it arrived December 5, 1862. It did picket duty at LaVergne for about two weeks; returned to Murfreesboro December 22nd, and was engaged in the Battle of Murfreesboro. In this battle the 47th was Commanded by W. M. Watkins, and reported 86 casualties out of 263 engaged. Following this battle, the regiment retreated to Shelbyville, arriving on January 14, where it was on Provost Guard duty. April 1, 1863, the 12th / 47th was reported as one unit under Colonel T. H. Bell of the 12th Regiment, and from this time on the two regiments acted as one field unit, although separate muster rolls were maintained. It left Shelbyville June 27th for Tullahoma; left Tullahoma July 1st for Chattanooga, where it arrived July 7th. Company reports describe this as a very fatiguing march, with heavy rain every day, and only half-rations. On July 31st, Colonel W. M. Watkins, of the 47th, was reported in command of the 12th / 47th, and he remained in command until July, 1864. On September 7th, the regiment left Chattanooga for LaFayette, Georgia; to Rock Spring Church on the 17th; crossed Chickamauga Creek on the 19th, and attacked the enemy in the Battle of Chickamauga, September 19-20, 1863. Here the 12th / 47th reported the expenditure of 14,350 rounds of ammunition, and the loss of 87 killed and wounded, including two captains and three lieutenants killed. Following the battle it remained in Chattanooga Valley until October 29, when it moved to Sweetwater, but returned to Missionary Ridge November 7, 1863, where the brigade was transferred to Major General T.C. Hindman's Division. The regiment was engaged in the Battle of Missionary Ridge November 25, and retreated to Dalton, Georgia, where it arrived November 27, and went into winter quarters with no tents, and scanty rations. Crude shelters were erected, which were not as comfortable as they might have been made, "due to a shortage of axes." On December 14, the 12th / 47th reported 281 effectives, 373 present, and 220 arms. On December 24th, 1863, John Fletcher Cole and a small band of Confederates were given the task of protecting the Elbion (Elba?) Bridge in Fayette County (near Memphis), Tennessee from Federal troops. After a skirmish and exchanging fire throughout the night, the band of rebels was captured by Federal troops and the bridge under Union control. John Fletcher Cole was sent to Alta, Illinois Prions for 3 months and then to Fort Delaware Prison as a POW along with his men. He remained at Fort Delaware for eleven months. On January 18, 1864, the 47th re-enlisted for the war, along with Strahl's Brigade, and the 13th and 154th Regiments, which moved General Hindman to issue a proclamation, reading in part: "The spirit in which these brave men enlisted is an eloquent rebuke to the despondent. With men who thus prefer duty to ease and comfort nothing is impossible in war." On February 29, the brigade was transferred back to Cheatham's Division, where it remained for the duration. The regiment was part of an expedition which started to reinforce General Polk, in Mississippi. It left Dalton, Georgia, on February 16, reached Demopolis, Alabama, and was ordered back to Dalton. The last company report was dated aboard the train at Atlanta, Georgia, on February 29, where the regiment was awaiting shipment to Dalton. It stated "The men regretted the return to Dalton to eat poor beef and cornbread, having been assured by General Polk there was plenty of pork and bacon in the Confederacy if commissaries would do their duty." No further details of regimental activities were found, but as part of Cheatham's Division, the regiment went through the Atlanta Campaign under General Joseph E. Johnston, the return to Tennessee under General John B. Hood, and the final move to North Carolina and the Battle of Bentonville, North Carolina. On July 31, 1864, the 12th / 47th was reported commanded by Captain William S. Moore, of the 12th; on August 31, by Lieutenant Colonel Josiah N. Wyatt, of the 12th; on September 20, by Lieutenant Colonel V. G. Wynne, of the 47th; on December 10, by Captain C. N. Wade, of the 12th, and finally, at Smithfield, North Carolina on March 31, 1865, by Captain James. R. Oliver of the 47th. On this date, the 11th / 29th / 12th / 47th / 13th / 51st / 52nd / 154th Tennessee Regiments were all consolidated into one unit under Captain Oliver. In the final reorganization of General Joseph E. Johnston's Army April 9, 1865, the 47th was reported in the Second Consolidated Tennessee Infantry Regiment, under Lieutenant Colonel George W. Pease, composed of the 11th / 12th / 13th / 29th / 47th / 50th / 51st / 52nd / 164th Tennessee Infantry Regiments. In early February 1865, John Fletcher Cole and some of his comrades were moved from Fort Delaware Prison to City Point, Virginia for a prisoner exchange between General Lee and General Grant. The exchange took place on February 27th, 1865. As part of this regiment the 47th was paroled at Greensboro, North Carolina, May 2, 1865, thus ending their service in the Confederate States Army. The above picture is of John Fletcher Cole around 1912 when he applied for his Military Pension at the age of 79. While filling out a request for his military service record to gain his pension, he was asked to also fill out a veteran survey that was eventually compiled into The Tennesse Civil War Veterans Questionnaires Vol. 2- Confederate Soldiers by Gustavus W. Dyer and John Trotwood Moore. All answers (spelling and grammar included) are taken exactly from the original pension answer sheet. 3) Q: In what state and county were you born? A: Gibson Co., Tenn.
7) Q: Give full name of your father, birthplace, where he lived, war services, etc. A: Miner Cole, Gibson Co. Tenn, solger in French Indian War. Private solger. 8) Q: Maiden name of you mother, birthblace, where she lived, etc. A: Winee Fly, don't know, I don't know, North Carlina. 9) Q: Give remarks on ancestry, grandparents, great-grandparents, war service, etc. A: Grandparents on mothers side lived and died in North Carolina. She came to Tenn with brother, Gibson County. 15) Q: State what kind of work you did as a boy and young man. (Certain historians claim white men would no do work of this sort before the war.) A: Farm plowed, hoed, split rale, cleard land, dug wells, did all work, cut, split log build house. 16) Q: State what kind of work your father did and the duties of your mother. A: Farm dug well split rale cleard land general house work, cooked, washed, card spun thread, wove clothe, made close. 21) Q: Did the men who owned slaves mingle freely with those who did not own slaves, or did slaveholders in any way show their actions that they felt themselves better than respectable, honorable men who did not own slaves? A: all that owned slaves that I knew was sociable, very few owned slave in my neighborhood. 35) Q: In what year and month and at what place did you enlise in the service of the Confederacy of of the Federal Governement? A: year 61, December. Dyserburg, Dyre County, Tenn.
39) Q: State in your own words your experience in the War from this time on to its close. State where you went after the first battle- what you did adn what other battles you engaged in, how long they lasted, what the results were; state how you lived in camp, how you were clothed, how you slept, what you ate, how you were exposed to cold, hungar, and disease. If you were in the hospital or prison, state your experience there. A: from Shilo to Corrinth, Miss. some time we had plenty to eat some time we had nothing but pickle beef and corn bred. went from Corrinth to Tupelo, Miss. around through Alabama through Georgia an through clear to Nashville then to South Carolina. I was captured at Memphis, Tenn carried to Altas, Ill. 3 months in prison had plenty to eat erday and hungry others I can say...to Delaware Island there 11 months...I got furlough..met with the rest of boy South Carolina from there home. 40) Q: When and where were you discharged? A: April 65. 41) Q: Tell something of your trip home: A: we got some transportation...walked 300 miles. 42) Q: Give a sketch of your life since the close of the War, stating what kind of business you have engaged in, where you have lived, church relations, etc. A: Clear lan next thing I done I married then I went...raise corn tobacco and cotton rase hogs mule and cattle for my own use. 43) Q: What kind of work did you take up when you came back home? A: I lived my life in Gibson canty )county) bin a strate famer never held any office never run for an office my church life...wife MIdeway Baptist church 54 years I have ben a decon in my church for 23 years. 45) Q: Give here the name and post office address of living veterans of the Civil War that you know. A: Capt. Henry Winn, 1st Lt. Willis Sawers, 2nd Lt. Sall Hall, Prvt's. Jim Hael, Bob Shackleton, Palle Web, Will Cole, John Petty, Jack Blare, Merchant. the rest of the names I have forgotten. Sam Read in Curten, Tenn. Bill McCree in Curten, Tenn. Cosby in Dyre, Tenn. Dr.__, old man Bandy, Henry Wood, Jake Callihan in Dyersburg, Tenn. This is a;; the living one that I no but I know lots of dead ones. 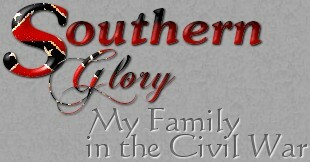 If you have pictures of your Confederate or Federal Civil War Veteran relative, information on the regiment and company he served with and wish to have a webpage created in honor of your family member, please email us with the information!